The Mississippi River borders the state to the west. The Native Indians to this region include the Chickasaw, Choctaw, Biloxi, Yazoo and Natchez. In 1540 the Spanish explore, Hernando de Soto traveled through the area. The French set up Fort Maurepas, known as Old Biloxi in 1699 as part of the New France colony. Within a few years a new fort, New Biloxi, was established nearby and by 1719 the old Fort Maurepas had burned. Those Frenchmen who came to the region were only interested in search of gold, jewels and valuable furs. However, they made thorough explorations of the Mississippi River and the surrounding countryside. They did establish in 1716 the Natchez settlement along the Mississippi River and it developed quickly. With the continual European power struggle the region changed hands between the French and Spanish a couple of times. Under French and Spanish rule, there developed a class of free people of color, mostly descendants of European men and enslaved women, and their multiracial children. The free people of color became educated and formed a third class between the Europeans and the African slaves who were later brought to the region. After the French and Indian War, Great Britain received the region from the French. At the end of the American Revolutionary war in the 1780s, the land now became part of the Mississippi Territory belonging to the new United States. For years there continued disputes over property lines with France and Spain, so the territory was always changing. By December 10, 1817, Mississippi became the 20th state admitted to the Union. Even before statehood, the land was being farmed because the soil was very rich. During the first half of the 19th century most settlements were along the river or the delta areas, very little towards the interior of the state. By the 1840s most new settlers were moving to Mississippi from the coastal states of North and South Carolina. The production of cotton became tremendous. The large plantations became dependence on hundreds of thousands of slaves for labor in the fields. By 1860, the African slave population numbered 436,631 or 55 percent of the state’s total of 791,305. In turn, there were now only about 1,000 free people of color in Mississippi. Mississippi seceded from the Union on January 9, 1861. During the various battles, those living along the river also suffered the most since the towns were easy targets. Some 80,000 soldiers from Mississippi fought with the Confederate Army. After the war, it took years, but Mississippi rebuilt itself. The population went to 1.1 million by 1880. The number of African-Americans has remained high in the state all through the late 19th century and into the 20th century. Not until the 1940s did about 360,000 African-Americans from Mississippi leave the state to new locations. Examining Mississippi genealogy, the state still has the highest proportion of African-Americans in the nation, some 37 percent of the total population. Reviewing Mississippi genealogy, those individuals of Irish and English ancestry represent in Mississippi today about 27 percent of the population, with many of those families going back to the early 1800s. 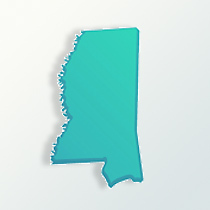 Approximately 4 percent and under for each of the following groups; German, Scots-Irish, Italian and French are throughout Mississippi. Mississippi still has the nation’s smallest percentage of foreign-born residents. During the early 21st century, they are from China, Vietnam and Filipinos. Many Chinese were brought in originally as laborers between 1910 and 1930. Along the southwest Gulf coast are also some French Creole individuals from west of the Mississippi River. The Choctaw reservation in the east-central region of Mississippi has about 12,000 Native Indians. Throughout the state the Protestant religions are predominate and especially the Southern Baptist Church.